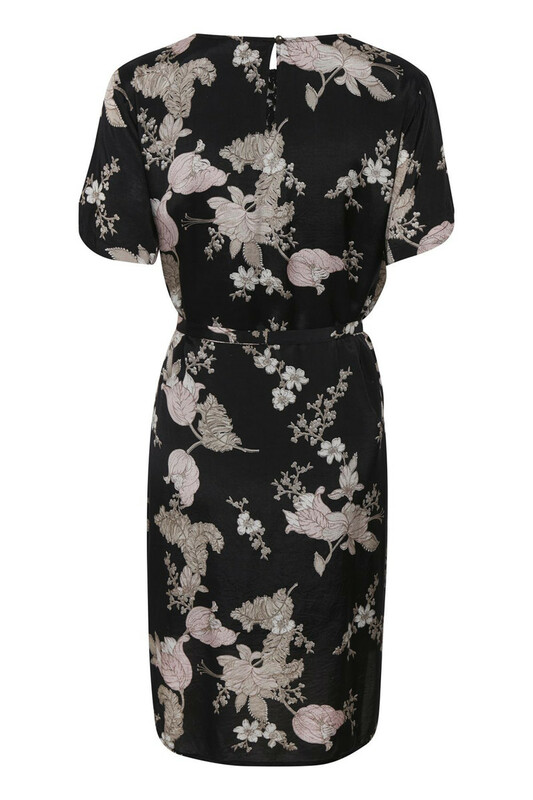 Beautiful and short-sleeved dress from KAFFE. 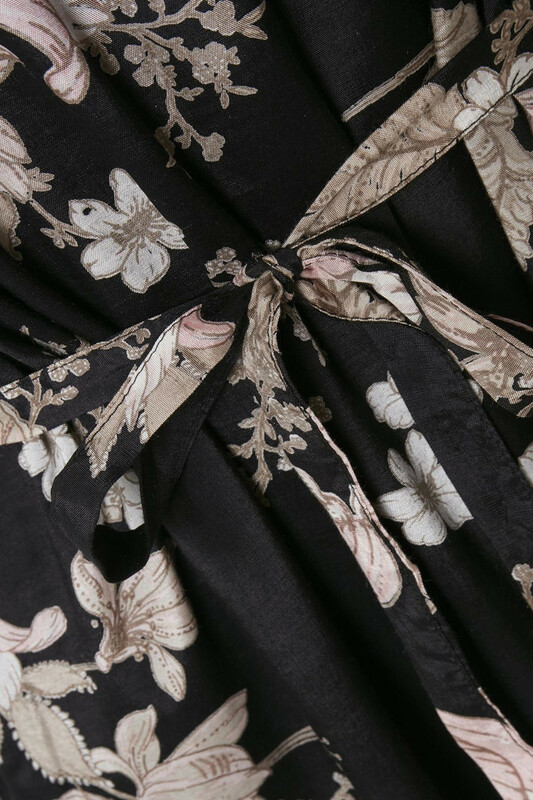 The dress has a v-neckline, beautiful floral print and the length is just above the knee. The quality is absolutely amazing to wear. 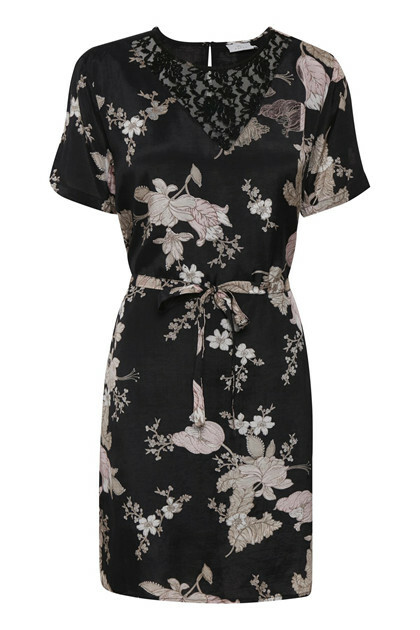 The cute flower dress has a tie belt at the waist, so it's possible to style the dress with a little figure or have a slightly more loose-fit look. It is definitely a beautiful dress that can be used for any occasion in your calendar.